I’m so proud of this ! A show only with my music! Thanks Johnny for this and for the kind words about me and my music! 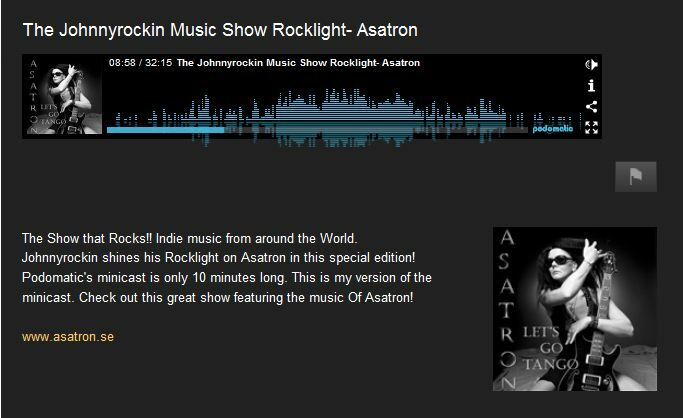 The Johnnyrockin Music Show Rocklight- Asatron.